Lead & Nickel Free!! 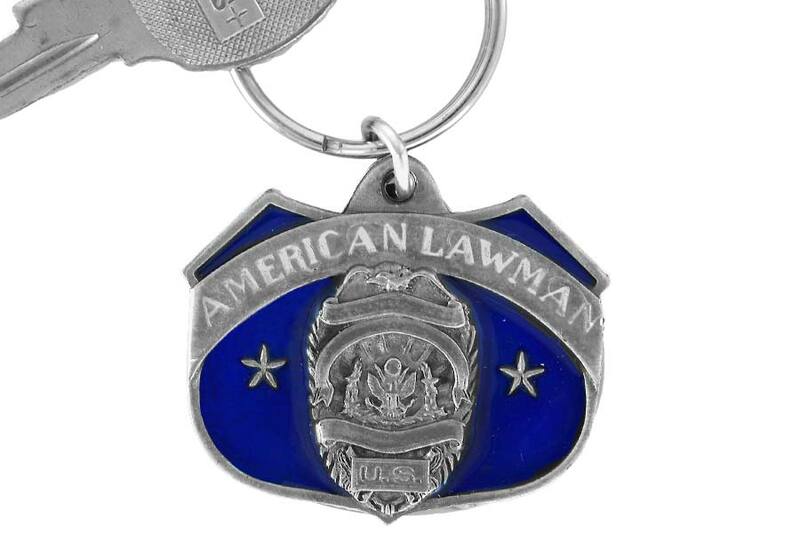 Pewter Key Chain Says, "American Lawman," And Is Filled With Blue Enamel. Key Chain Measures 2 1/2" x 1 3/4".